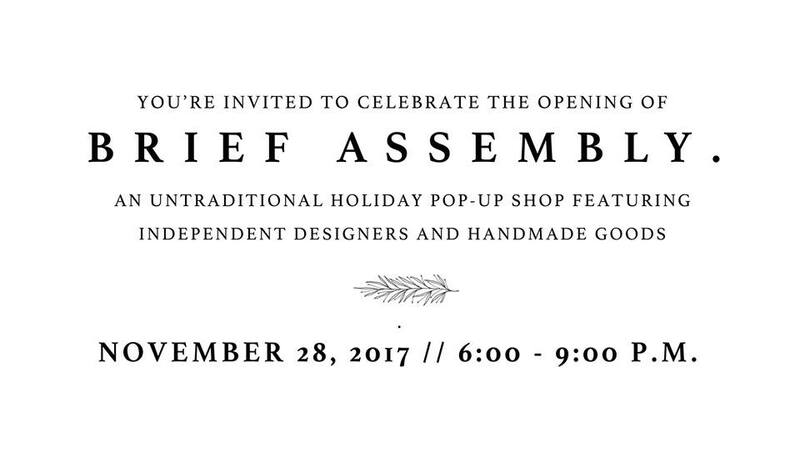 “I wanted to make sure you were aware of this holiday pop up shop, Brief Assembly., that opened in the Union Market district on the corner of 4th and Neal. It launched this past weekend and runs through Dec 23, and there is an opening party this Tuesday evening from 6-9pm. The shop was organized by two DC-based designers, Carolyn Misterek and Mallory Shelter. It features products from select and independent designers from across the country. It is a real cool shop, and offers people a different place to shop during this holiday season.